Gary had an interesting approach to his storyboards. He would cut up the script and paste the action descriptions and dialogue lines under the panels before drawing a single stroke. When he finished that phase, Gary would have the page and scene count even though all the panels were blank. His skill and experience were such that he knew what he would put in each panel and at what pace. His boards were always strong, tight and told the story well. 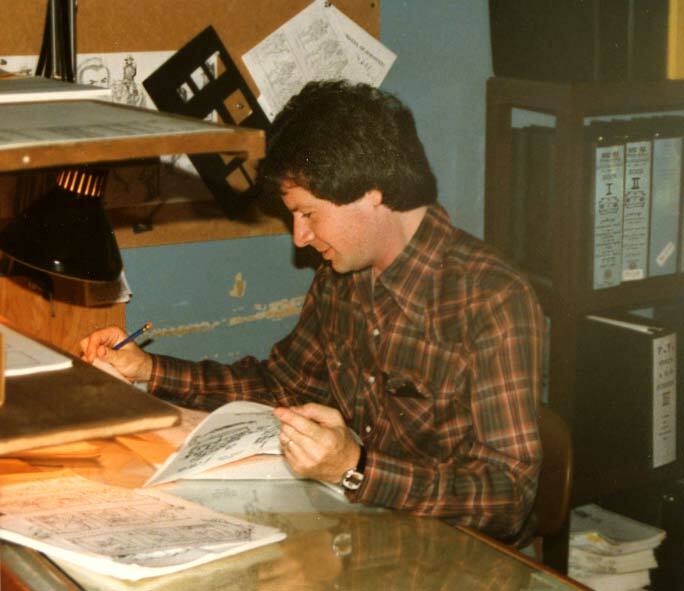 Working as a writer and storyboard artist at Filmation was one of the best times in my career. 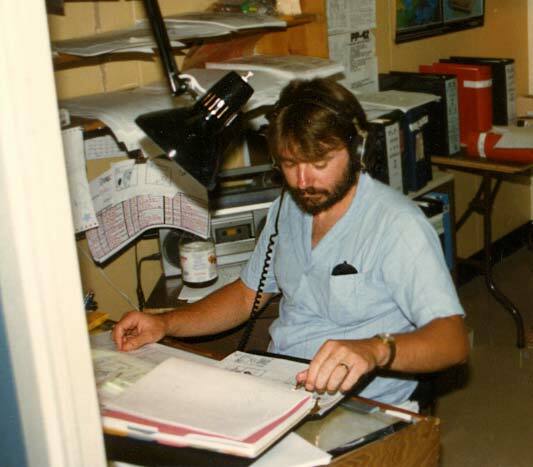 I've done other interesting and rewarding projects since then, but 1981 to 1989 were the Golden Years for me. Lou Scheimer, Arthur Nadel, Hal Sutherland, Bob Arkwright and the gang were a joy to work with; a very talented bunch. For a closing shot on this batch of photos, here is a view of the storyboard wing of the Reseda studio on moving day. 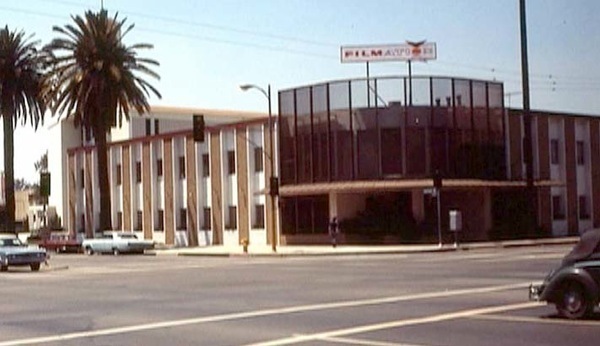 From here we relocated to the new facility across the San Fernando Valley in Woodland Hills, CA. ... laden with She-Ra stock and same/as books. This was after my writing run with She-Ra season 1 ended. I returned to the storyboard department and took over where Steve Hickner and others left off collecting non-stock scenes that could be reused, called "Same/As" scenes. Even then we could see the handwriting on the wall. The other studios shipped everything after storyboards overseas. If we didn't keep our costs down, the same would happen to Filmation. Though that didn't threaten the storyboard department, we didn't want to see anyone else lose their jobs. So for the next two years I dedicated myself to identifying and cataloging reusable animation under the title of "Storyboard Production Coordinator." More about that later. Here is the one exception to the two-person-to-an-office rule. This trio was the office newbies during Filmation's Ghostbusters. Al was the quiet one. Karl, the cut-up who nicknamed me "The Blamster," collected multitudes of toys including, of course, the Ghostbuster toys. In the 1990s I did storyboards for Karl on the Wild West C.O.W.-Boys of Moo Mesa series for ABC. Rachel had a hippie-vibe that I could never tell was a put-on or the real deal. She had a great sense of humor, much needed considering her roommates. Her interpretations of scripts lifted them from the mediocrity they could have been. She was another rare, fine, female storyboard artist in a zoo of boys. Our wild and crazy artist from Argentina, Flamarion, like Dave and Yi-Chih, answered the call to fill our storyboard vacancies. He had worked as a background artist on the He-Man/She-Ra feature: The Secret of the Sword as well visual effects. He also painted backgrounds for Pinocchio and the Emporer of the Night. Both Dave and Yi-Chih brought a draftsmanship to their boards that other storyboard artists lacked. As animators, they had been drawing the characters on model for years and it showed in their boards. Character poses and action were their strengths and they very quickly gained confidence in background staging. Some of the board artists who worked on He-Man and She-Ra preferred super-hero shows and left Filmation for Marvel Productions when Filmation’s Ghostbusters started production. 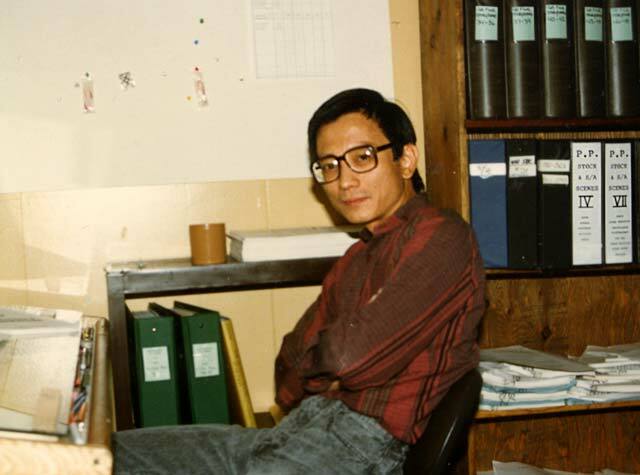 David Prince and Yi-Chih Chin (see below) were two animators that moved into the department after taking the storyboard test. 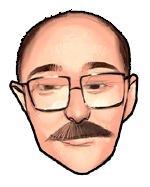 Film buff, funny guy, good all-around storyboard artist. In Filmation’s last year, Paul and I worked on a couple of Bugzburg boards. 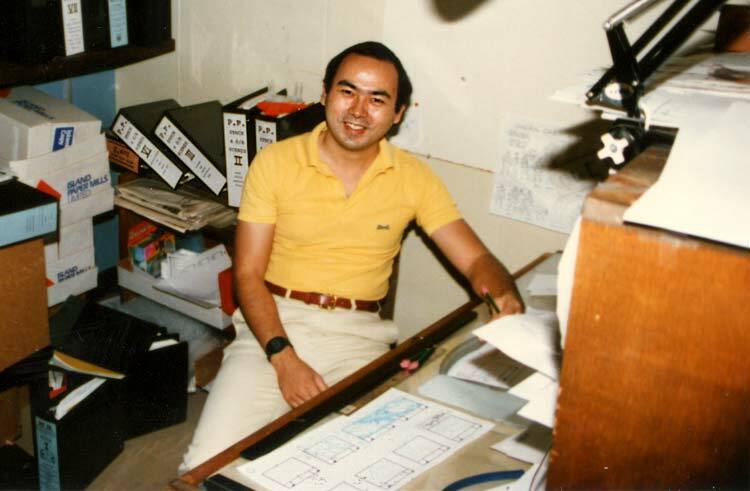 A fine storyboard artist who consistently pushed the creative envelope within the confines of the Filmation system, Mike always did a first class job on each show. She was one of the few female storyboard artists in the animation business at the time. 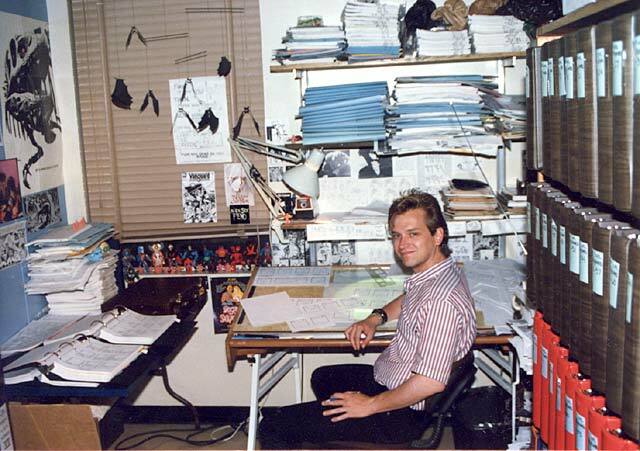 As I recall that was also the case in the Animation Department. There were more women in the Assistant Animation Dept. and a majority in the Ink & Paint Dept. 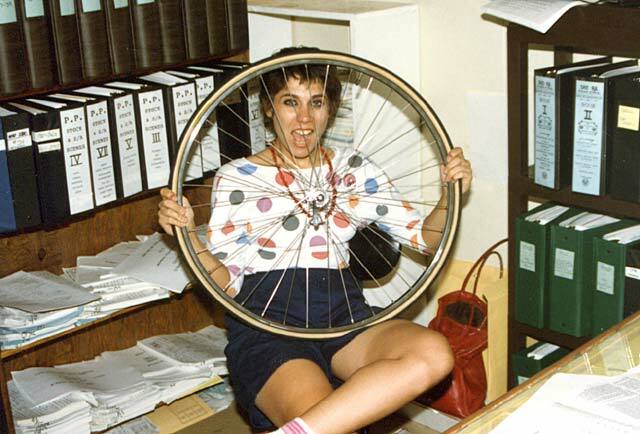 Hanna commuted to the studio on a bicycle and removed the front wheel to prevent theft. She kept the wheel by her desk and proudly displayed it when I snapped this picture. Digging deeply into my Vault of Old Things (a.k.a. my garage) I have found photos of old friends I thought l had lost a long time ago. I don't have photos of everybody, so my apologies to anyone left out. 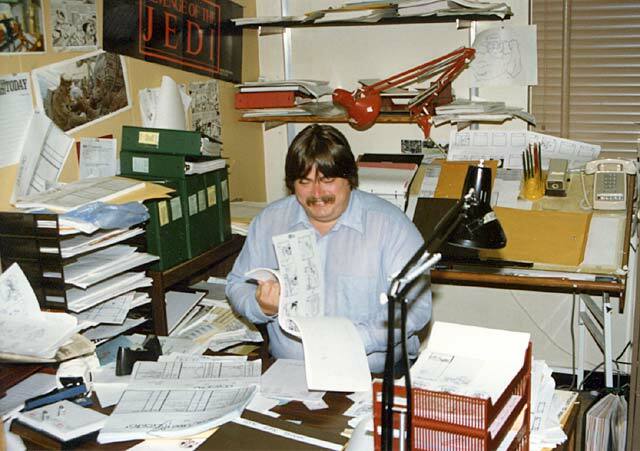 If anyone is curious about what it was like to work at Filmation in the Big Eighties, these photos should give you a glimpse. First up, a group photo of the Storyboard Department at the 2nd Annual Hal Awards Banquet which was held at the pizza place next door to the Reseda studio. We gave Hal awards for the worst Fat Albert stock scenes in the syndicated production we just finished. You can see how prestigious the ceremony had become by the presence of some coats and ties. The 1st Hal Awards held after the first season of He-Man was an impromptu affair where we let off some steam brought about by the Filmation system. I know that many people complain about the repeated use of the studio stock system but it was necessary for survival. Still we chafed at having to use the stock animation especially if it wasn't that good. So, we threw ourselves a departmental wrap party and voted for the worst stock in several categories. 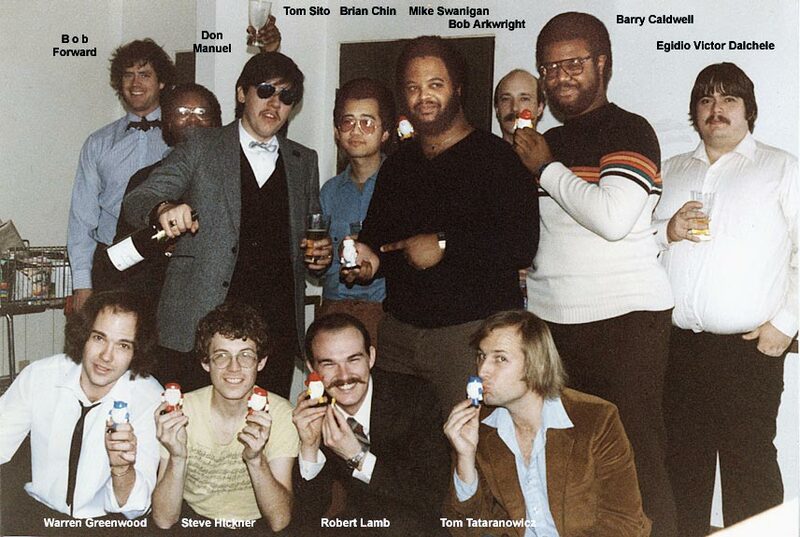 The little egg-man toy awards were named after Hal Sutherland as a kind of tribute/revenge on his revisions on our boards. 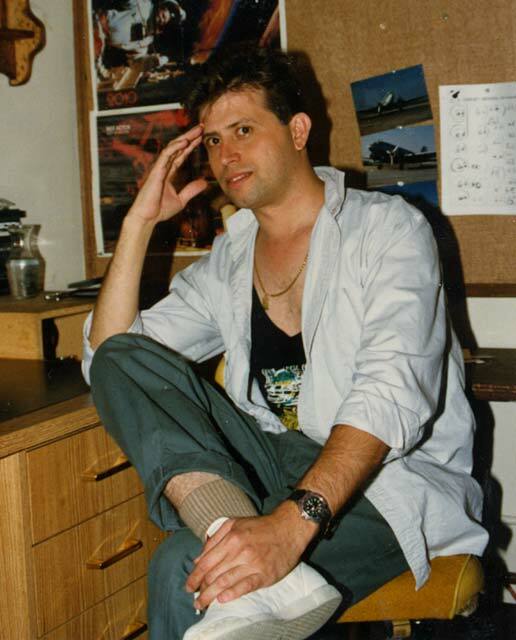 Next, memories of the storyboard department circa 1986. Shows in production at that time would have been Filmation's Ghostbusters and BraveStarr. Take note of the abundance of stock books on the shelves. 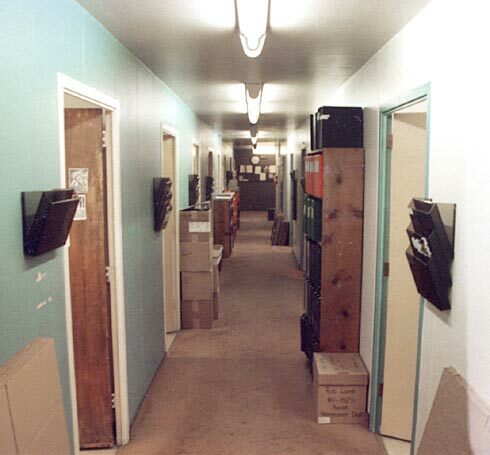 The general working conditions (i.e. clutter) were entirely at the discretion of the artist occupant of each room. 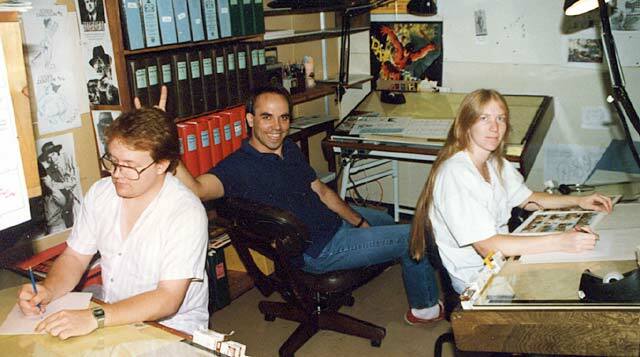 The Reseda location storyboard wing usually had two artists per room with one exception (see Al, Karl and Rachel below). We had doors we could close to cut down on distractions and play our music louder. The Woodland Hills studio was nicer but we had cubicles instead of rooms and had to wear headphones to not disturb others. I wish I had taken more pictures of more of the Filmation family. At the time I didn't expect it all to end like it did. I kept thinking I would get around to photographing more but like waking from a dream, it was gone. 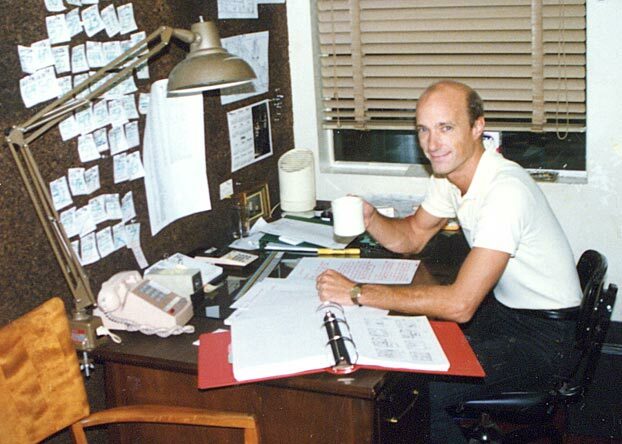 Affectionately called "Barky" sometimes, Bob served as Storyboard Supervisor from 1983 into 1987. He led the Department through both seasons of He-Man and the Masters of the Universe, Fat Albert and the Cosby Kids (later syndication), She-Ra, Princess of Power, Filmation's Ghostbusters and, I think, most of BraveStarr. 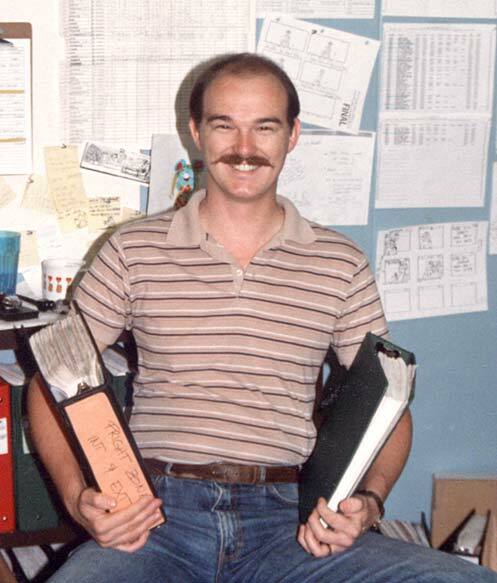 Bob also directed the opening title sequence of BraveStarr and some of the episodes.